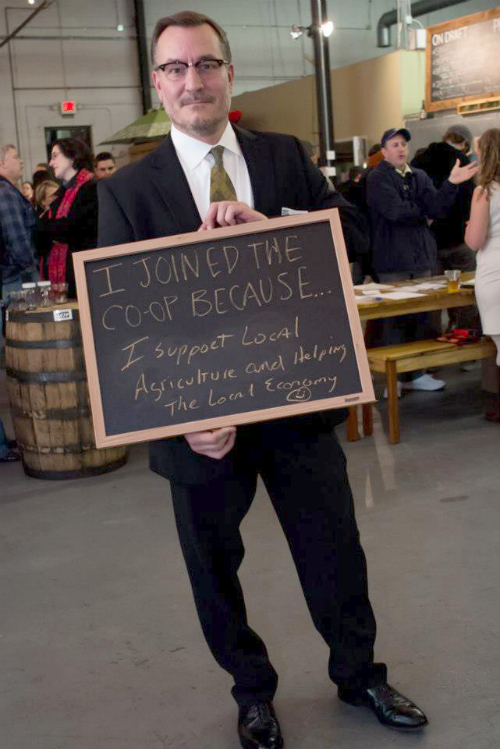 You may or may not know I am on the board for the Richmond Co-op as Vice-chair. We are 500 members strong and about 500 members away from opening our doors. 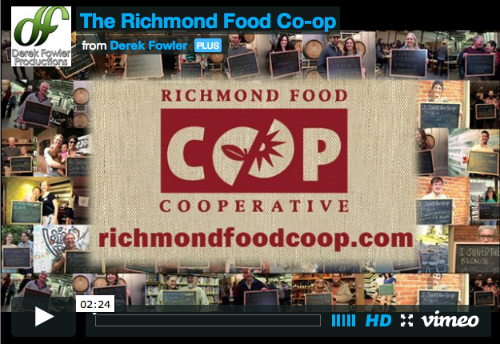 The Richmond Food Co-op will be a 100% locally owned, 100% locally governed grocery store focused 100% on supporting our local farmers, economy and community; not to mention increasing affordability of good food through a member/owner model. We recently received a $10,000 start up grant from the Food Co-op Initiative that we need to match. By supporting this campaign you will help us move closer to our goals and open our doors. This is something that I am very passionate about and would appreciate a look at the above campaign, a possible donation, or a simple sharing of this post in hopes we can indeed meet our goals! In addition to our campaign above we were recently interviewed by Catherine Komp on Virginia Currents. Make sure you take a listen to the full Co-op interview (yours truly comes in right at the end). And last but not least we have our 2nd annual Co-op picnic at Bryan Park again this year! Aside from breaking bread with our cooperative community, the 2014 Cabot Cheese Community tour will be visiting with yummy cheese! Of course there will be food, along with local music, including Cole Sullivan, Lobo Marino, and Clay Spokes! Won't you join us, as Saturday is going to be a beautiful day in RVA for a picnic!